Most people go through life without a definitive idea of what they want to be when they grow up. 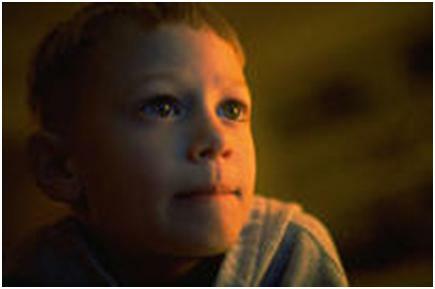 Early on, little revelations start to get in the way of childhood dreams. Too slow for the NFL. Poor vision won’t cut it in the astronaut program. Pirates aren’t the fun-loving bunch you thought they were. But what happens when you know, without a doubt, what you want to do? You can taste it. It’s your destiny. And then you find out you’re wrong, it’s not going to happen. Maybe only then can you discover what God really has in mind for you. Ralph Opacic was two years behind me at Lake Braddock Secondary School and very gifted musically. He was Curly in Oklahoma and Sky Masterson in Guys and Dolls. He sang solos in the school chorus and was the Student Director in their productions. He was ready to take the music world by storm. He’d be the next Billy Joel. Singer. Songwriter. When he was on stage, girls loved him, and guys wanted to be him. The Piano Man. So Ralph left Virginia to go to Cal State Long Beach, where the Carpenters got their start. Then it got quiet. We lost track of him. Ralph was such a nice guy, I figured he’d been chewed up and spit out by the brutal entertainment industry. What a shame. In August of 2010 I was watching the Emmy Awards. I had made a solemn promise to my daughter to watch the event, in familial support for one of her favorite TV programs, Glee, which was up for several awards. She was away at college, so I was on the honor system. I turned it on, but that didn’t mean I had to watch it. I had joined Facebook several days before, and there were new worlds to explore in cyberspace. A quick Google search later I found out that Ralph is President of the Orange County High School of the Arts (OCHSA) in Santa Ana, California, where Matthew Morrison had gone to school. I thought that was pretty cool: Ralph was running a school of the arts in California, and able to celebrate with one of his famous alumni at the Emmy Awards. A month later I was sitting at a dinner with twenty other people at the Cheeca Lodge in the Florida Keys, and began a conversation with Scott Bornstein, the CEO of MemoryPower. He was talking about his kids and mentioned that his daughter had spent time on Broadway. Her interest had been sparked by a remarkable experience in high school. In Orange County. At OCHSA. Small world. Scott told me that I’d be blown away if I could see the amazing things that happen on the OCHSA campus. So I did some homework. After graduating with a degree in music, Ralph performed in local bars and sang solos at the Crystal Cathedral. The career wasn’t quite going according to plan, so Ralph took a job as a high school teacher, and began working with thirty students in an after-school music program. Instead of Handel’s Messiah and other timeless classics, Ralph’s chorus sang John Mellencamp’s “R.O.C.K in the USA,” and Kenny Loggins’s “Footloose.” Performers tumbled and moonwalked across the stage. Ralph started recruiting football players and cheerleaders (for Glee fans, does this sound familiar?) and soon had three hundred students participating. He had a dream of turning it into a full-time school, but had no money, no building, and very little time. What he had was a vision, and a passion to communicate his dream to anyone who would listen. People talk about the profound ways that music can touch their hearts. But Ralph was able to share a vision that was more powerful and more galvanizing than any song imaginable: the vision of a world-class arts school that would allow kids to pursue their dreams in music, dance, and the visual arts. His goals were lofty. His passion was palpable. His optimism was unflagging. On his quest, many people ignored the pleas and some thought he was crazy. Nothing but a dreamer. Thank goodness. Soon, some important and influential people were paying attention. Ralph was introduced to Mike Harrah, a local developer, who provided a building and the initial financing for a school site. OCHSA opened as a Charter School in 2000 with 900 students. 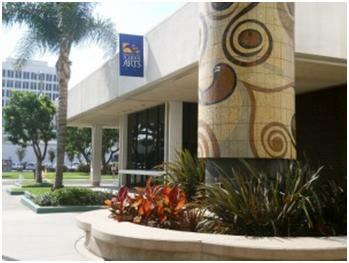 The OCHSA campus now takes up two city blocks in downtown Santa Ana. OCHSA has been recognized not only as one of the leading arts programs in the country, but as a leading academic school as well. The US News and World Report named it one of the top five hundred high schools in the United States. The school has a 100% graduation rate and 99% of the students go on to college. As an employer, OCHSA has been recognized by the Orange County Register as one of the top places to work in Orange County. What started as a thirty-student after-hours chorus is now a full-time arts school with 1,800 students, grades seven through twelve. Last year there were 3,700 applications for only 350 openings. Students come from more than 100 cities in Southern California and more than 10,000 patrons witness the 100 arts and music programs performed by OCHSA students every year. OCHSA’s impact isn’t based purely on formal performances and limited only to Orange County. Every day students are pursuing their dreams and receiving a world-class education. Some have achieved tremendous success in their chosen fields. Matthew Morrison is a household name and has helped make musicals mainstream on television again. Susan Egan was the original Belle in Beauty and the Beast on Broadway, and has had a successful career in theater and film. Other OCHSA graduates are making their mark in theater, film, dance, and design. Others excel in business and academia. But beyond their personal successes, they continue to inspire others. To work hard. To persevere. To dream. As a successful singer you may touch thousands of people in your career. A few super-successful singers may touch millions – for a short while. But Ralph Opacic is developing the talents and nurturing the dreams of thousands of students, who will, in turn, potentially touch millions of people – for generations to come. You know the guy. The singer. The leader. The dreamer. I can’t believe I went to HS with this guy and never really knew him but did see him perform in Oklahoma and wondered “who is this super talented guy?”. Amazing story and amazing life. It’s a small, small world. Steve, Ralph was one of the nicest guys in the school (which is saying a lot with 4,500 students). I, too, remember Ralph in Oklahoma. He wasn’t a kid playing a role – he was a star. It makes you wonder about the talents, and the dreams, of all the people we knew – or we just passed in the hall every day. And who knew one of our classmates would go on to coach championship basketball all over the world! Karl, you’ve done it again – you have such a gift for introducing your readers to unique and important people. I’m in awe! Your friend’s work is so critically important, especially at a time when arts education is being slashed everywhere. I have two degrees in theatre, but a lot of my passion came from high school teachers who taught me that life without the arts is no life at all. And btw, I have a connection to Matthew Morrison as well, but from his college years. So there. Viki, I’ve been blessed to know some unique and special people over the years. As I learned from the OCHSA example, the Arts don’t run parallel with academia, and it’s not an either / or proposition. It is great to see when leaders and the community set their minds to get something done. We all benefit when they do. You certainly have an eye for capturing people doing things right! What an inspirational story, beautifully-written in true Karl-fashion. It certainly is a testimony to believing in the power of our dreams,despite the naysayers and doubters of our lives. Thanks for sharing another uplifting story with a powerful message. Delightful! Thanks, Kathy. I think we sometimes forget all the good things – and good people – out there, and the wonderful example they set for us all. I truly appreciate your support and your Kathy-esque perspective on language and life. I’ve never watched Glee. Heck, I’ve barely watched television. Ever. And yet I just might start. All of it. TV. Glee. Ralph Opacic. This guy sounds exceptional. Bigger than life. Of course, I know from firsthand experience that you could convince me the Venus de Milo is white chocolate. And a world class tango dancer. Who can whip up a lobster and avocado souffle in a jiffy. You’re good with words, Karl, but your also, well, good. Grace. You have it. In spades. Great post! I have just seen Matthew Morrison on The Late Show with Seth Meyers. In the interview, of course, the former Broadway star turned Glee star, talked about his current shoe Finding Neverland. Then, the conversation mentioned this Orange Co HSA and then Ralph Opacic. My ears perked up: I remembered that name from my time as a business ed teacher at Lakd Braddock , 1975-83 and 1986-90. I was there with first graduating class in 1976. Those performances by Ralph with Swing Singers led by Bob Stamback and Broadway musicals such as Oklahoma were incredible. I remember thinking what a talented person he truly was! So glad to learn that even though he did not become the next Billy Joel, he opened the door for so many to walk through and pursue their musical dreams!